At Alfaaz Photography we believe in the magic of travel. 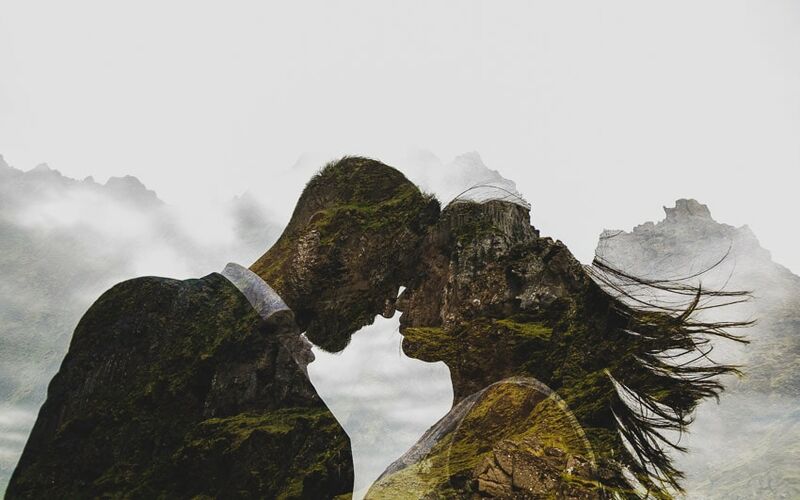 If there is a destination that defines you as a couple, we want to make that a part of your photographs. 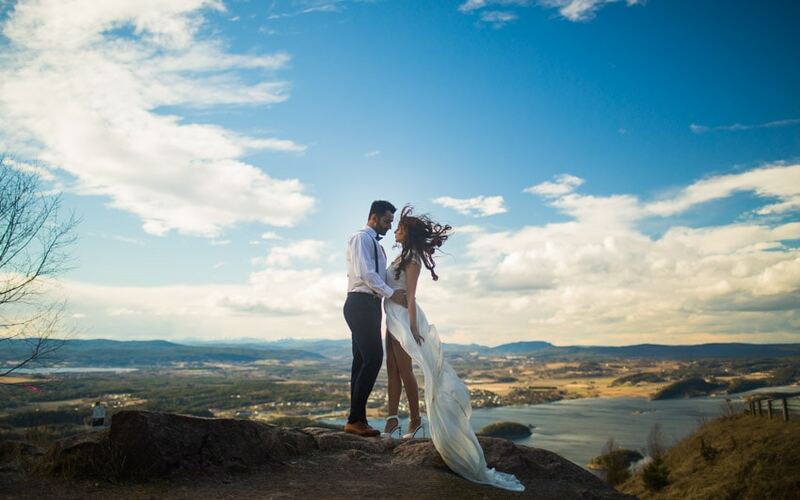 We’ve followed couples all over the world - from elopement photography in Cuba to bridal sessions in Norway; Alfaaz Photography will go the extra mile to capture the perfect photo. More and more, couples are choosing to have their traditional weddings outside of their usual place of worship to unique locations. 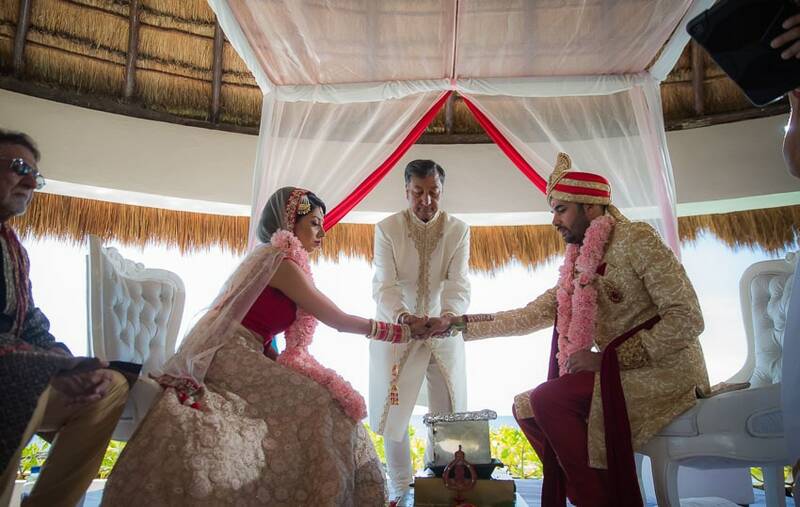 This has given us the privilege of following couples to their Indian destination weddings in Mexico and the Dominican Republic - quite a feat considering the week-long, elaborate celebrations of Indian weddings! So, whether staying in the beautiful city of Toronto or heading out to Mexico or Iceland, whether you are getting engaged or getting married, Alfaaz Photography will be there to capture your story. Colours, colours and more colour! But instead of a Toronto Ballroom - it’s a beach. Indian Destination Weddings are our expertise. We offer special packages for Indian couples getting married on the beaches of Dominican Republic, Mexico, Costa Rica, the Bahamas or whichever adventurous location! Since Indian Destination Weddings are also a multi-day affair, we offer additional hours for those pre-wedding events such as Sangeet on the beach or Mendhi at the oceanfront rooftop. The combination of colours of Indian Weddings mixed with white sand and blue ocean gives a very vibrant look. Couples will prefer to fly in an Indian Destination Wedding Photographer from Toronto knowing that local photographers, while amazing at what they do, are not familiar with the intricacies of Indian weddings including the customs, rituals, and traditions which a couple and their family would want photographed. Being outside Toronto allows couples to be more adventurous and create a different look - there’s nothing like hosting ceremonies outside in the sun. 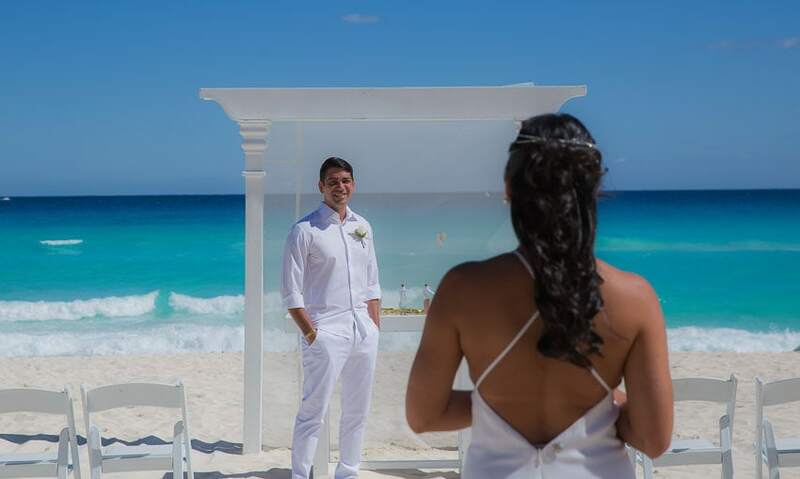 While in Toronto, we’re limited to having the chura ceremony indoors with a bride and her uncle; whereas, in Mexico, we can take advantage of the warm, calm weather and soft beaches to have this ceremony outdoors. The same is true for the dupatta ceremony or want before the wedding. See here for more examples on how to use the location for your Indian wedding. We love to take couples out of the resort before or after the wedding. On the wedding day, there is a limited amount of time and the priority is on the ceremony and reception; going outside the resort might not be possible, especially for big Indian weddings with multiple events. 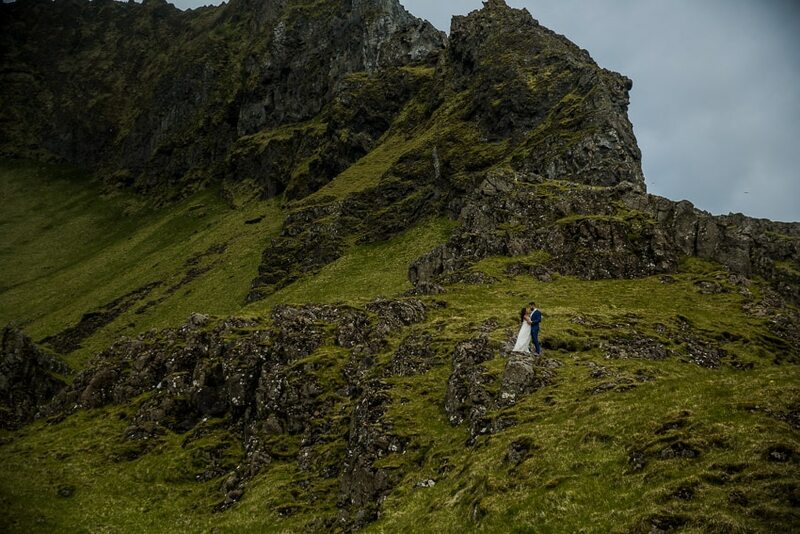 How about we take you to underwater caves in Mexico or the beach mountains of Hawaii to incorporate the destination you picked into your pictures. We call it a post-wedding shoot. On the wedding day, when the makeup and hair are professionally done, we take photos of closeups; after the wedding, at your post-wedding shoot, we can focus on wide shots to see more of your landscape. By adding a shoot on a different day, we have the flexibility to choose the best time of day for your photos. We can get out at golden hour, during sunset or sunrise, to capture the best light! And because your guests are stuck on vacation with you, get them in for some pictures too - pictures that may otherwise be missed over the wedding. I’m having an Indian destination wedding; what do I need to know? More Intimate: Destination weddings are perfect for you if you are looking for an intimate wedding. Indian weddings are BIG! Usually, you can be looking to host 400 guests minimum! You can be sure your destination wedding will bring down your guest list to just your close family and friends. Spend time with your loved ones: Large group vacations are rarely possible. But your wedding can be an opportunity to make it happen! You get to spend about 5 to 7 days with your friends and family vacationing while celebrating your wedding. 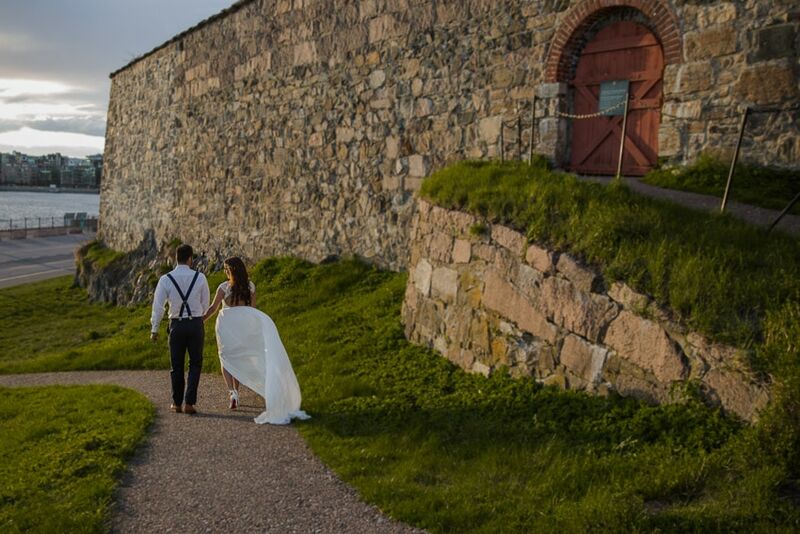 Hassle-free experience: Destination weddings are about the laid back lifestyle. It’s a stress-free experience for family and friends - all they have to do is dress up and party for a week. And, it’s a great way to escape the winter cold in Toronto! Cost-efficient: The surprising thing most couples learn is that destination weddings are not as expensive as they think. A wedding in North America, specifically Toronto, costs about $40,000. If you’re having an Indian wedding, you’re looking at around $80,000 with about 300 guests! An average destination wedding costs about 50% less for the couple! Use the extra savings to help your guests pay for travel and/or accommodations so they can really enjoy your wedding! How many people do we need to take with us? 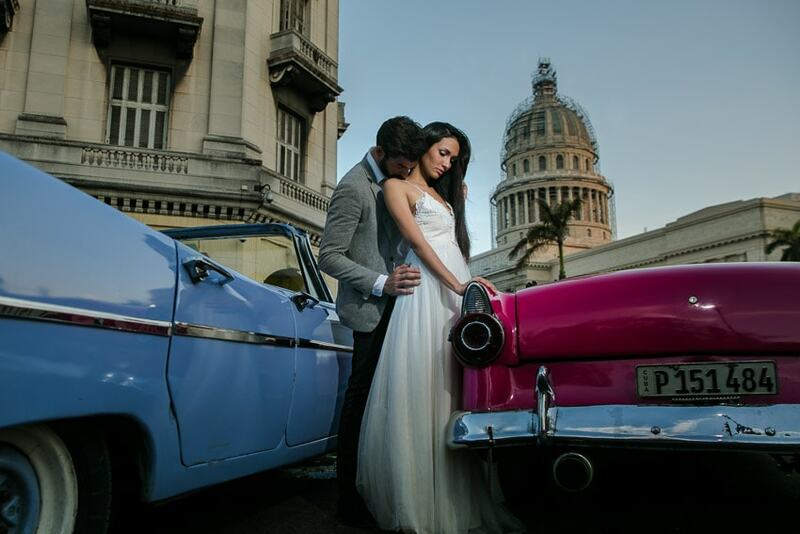 Photography packages for destination weddings are the same as our packages in North America. The only additional consideration for our clients is Airfare and Hotel accommodations for the photographers. For every destination wedding, we give couples a $500 credit that they can use towards albums, bridal sessions or engagement photography or other add-ons as discussed with your photographer. 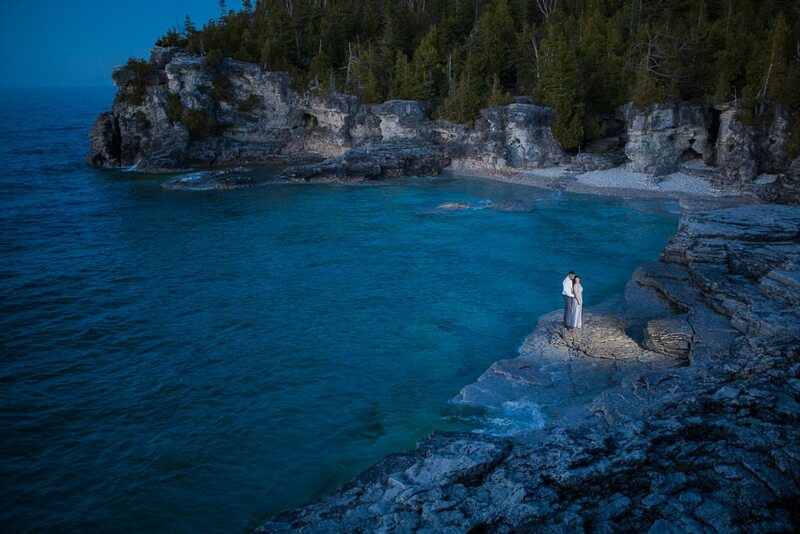 Destination weddings are typical need more time considering travel times from Toronto and location scouting. Although We do offer post-wedding day session worth 600$ with every Destination wedding and for Indian destination wedding we understand there are multiple pre-wedding events so we offer 2-hour coverage worth 600$ credit. My parents don’t speak English. How well can the Alfaaz Photography team communicate with my family? In addition to our experience shooting Indian weddings of various cultures and religions including Punjabi, Sikh, Sindhi, Muslim, Gujarati and others, we also understand your language. It may sound a bit broken, and we may get a few laughs, but we understand 5 difference local Indian languages to help us communicate. Typically, hiring photographers from your wedding location is not only more expensive but it can be a risky investment. Now, we’re not saying all local photographers are bad. However, feedback from couples, event planners, and others offers a few reasons to be cautious: it is difficult to coordinate with them about the details of your wedding, they don’t know you as a couple, they may not understand your wedding customs and you may face delays in getting your images. Our process involves getting to know each and every couple so we can create a product unique to you. We invest the time leading up to your event to connect with you and learn about your love story and your families. This is made possible due to our proximity to you here in Toronto. Most destination wedding resorts including Hard Rock Hotels or Palace Resorts will charge you vendor fees up to $1,000 USD per vendor entering the property for your wedding, unless the vendor is staying in the same hotel for more than 3 nights. In the case of Indian destination weddings where there are multiple events, the cost of getting a local photographer again and again can add up greater than bringing your own photographer from Toronto. And with this, you have the assurance of receiving your images in 8 weeks as per Alfaaz Photography’s commitment. With local photographers, not being able to connect via phone or email would mean traveling back to try and get a hold of your photos. Your wedding is one of your most important days and we want you to be with people whose company you enjoy - something that’s much easier when you’ve met and connected with your photographer already. Sunset over a beach in Cancun.